A lot of times we forget about the needs of our dog when we head out on that next adventure. 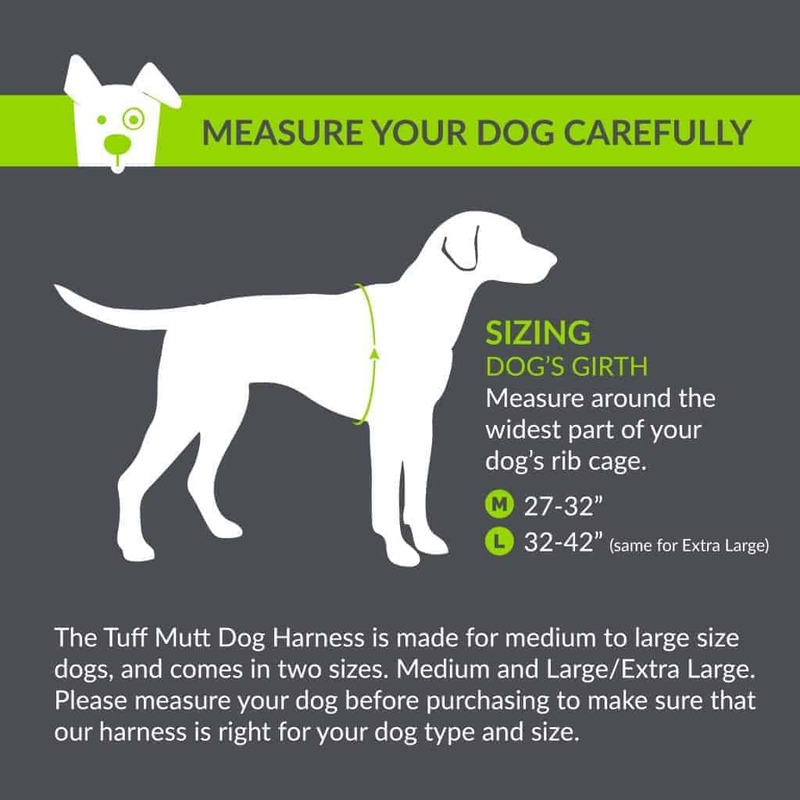 The Tuff Mutt Dog Harness offers 4 adjustment straps, so that no matter if your pooch is a bit chubby around the mid section, or has a long skinny neck, you can be sure to get a customized fit that is just right for him. We have created the ultimate comfort experience by adding an extra layer of padding on the chest and belly plate. Your dog is going to love you for it! CUSTOMIZABLE FIT – Every dog is different right? 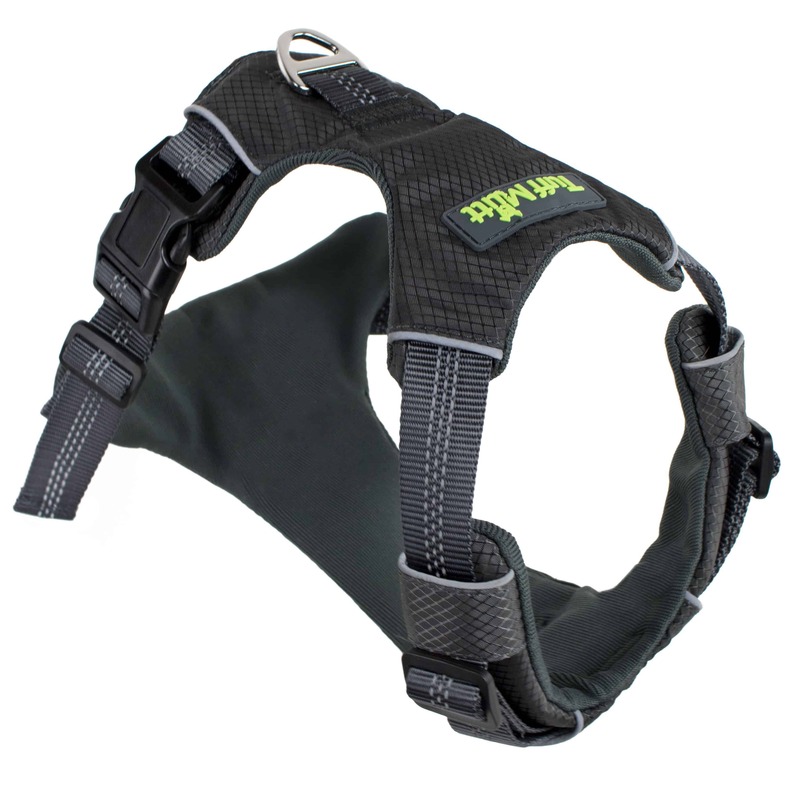 That is why our harness offers 4 separate adjustment straps – two around the neck and two around the belly. 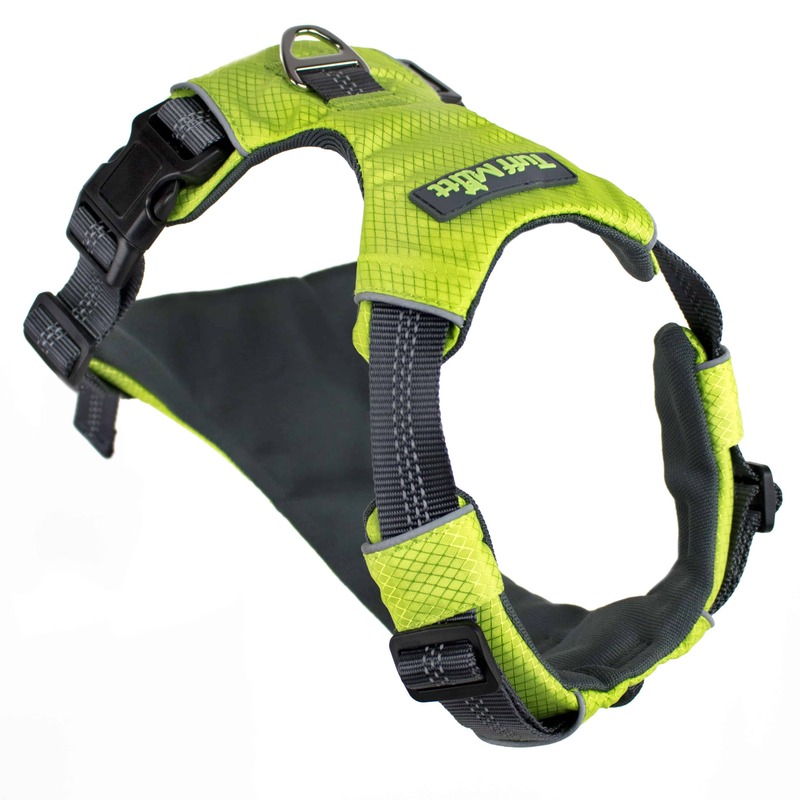 This gives your dog a comfortable full range of motion and easily adjusts to their body type. 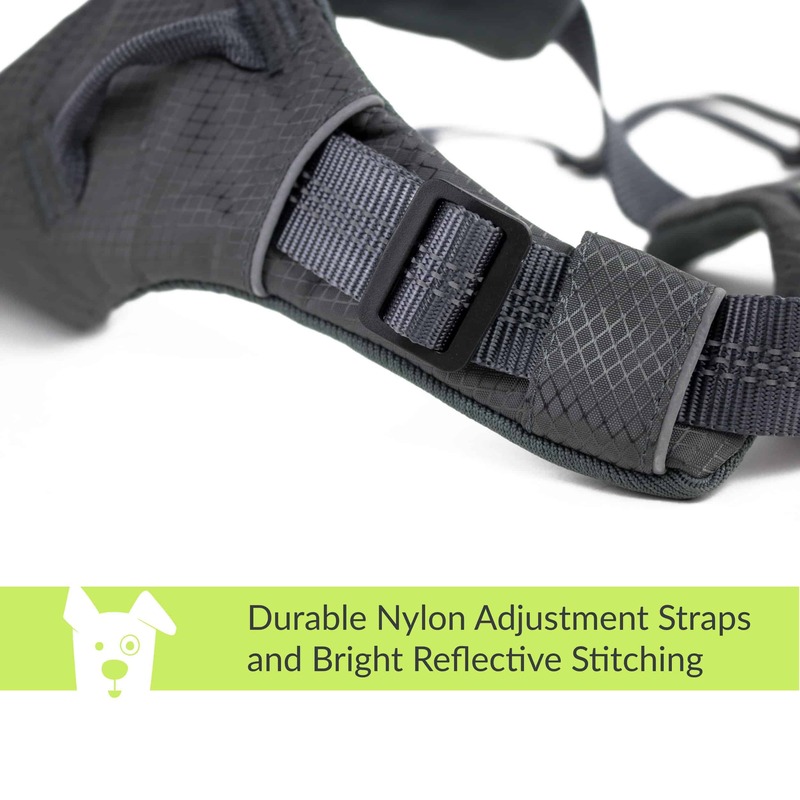 STAY SAFE AND BE SEEN – We have gone the extra mile and added reflective trim and 3 seams of reflective stitching that run the length of the straps. Your dog will light up the trail and you can enjoy your late night adventures knowing you will be seen by everyone who passes. ULTIMATE COMFORT – Our premium extra padded chest and belly panels are sure to keep your dog in comfort, no matter what the adventure. Whether you take short walks, long runs or rigorous hikes, your dog will not experience any discomfort when wearing our harness. 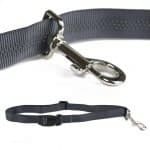 CONFIDENT LEASH ATTACHMENTS – Have a large breed or a strong puller? 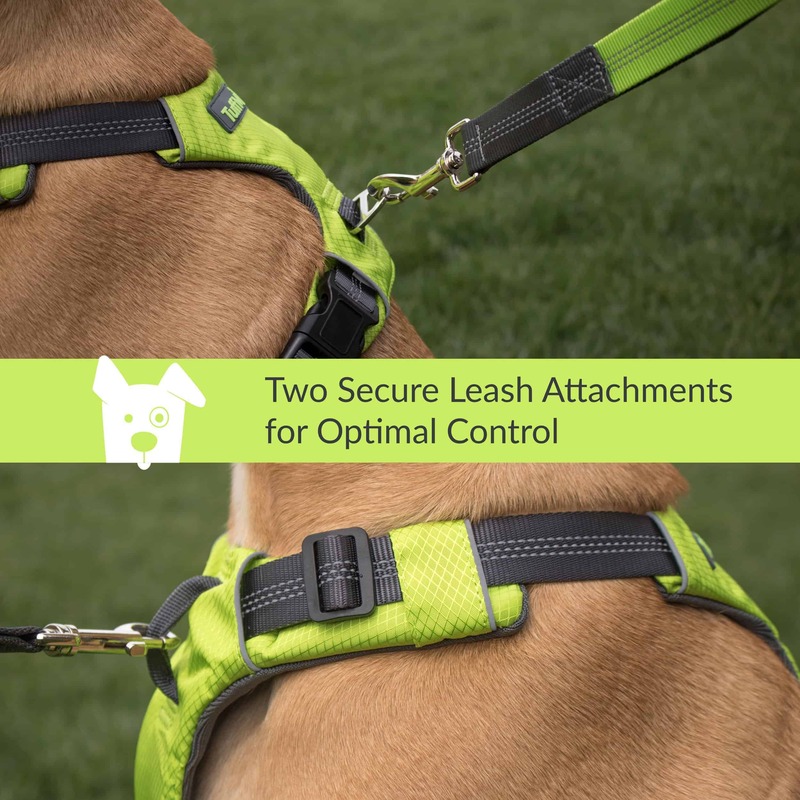 Our harness offers two secure leash attachment points: a reinforced quality V-ring on the dog’s back for everyday adventures and secure webbing on the chest panel for ultimate control and training.